With its endless streets full of fashion stores, Barcelona is a mecca for shopaholics. 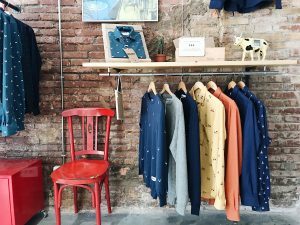 While we tend to buy at the obvious Spanish retail chains over and over again, it’s a breath of fresh air to find a small local brand hidden in one of the side streets of the city. 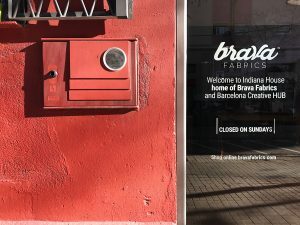 Meet Brava Fabrics: creating honest apparel with funky prints, inspired by the people and the culture of its ‘hometown’. 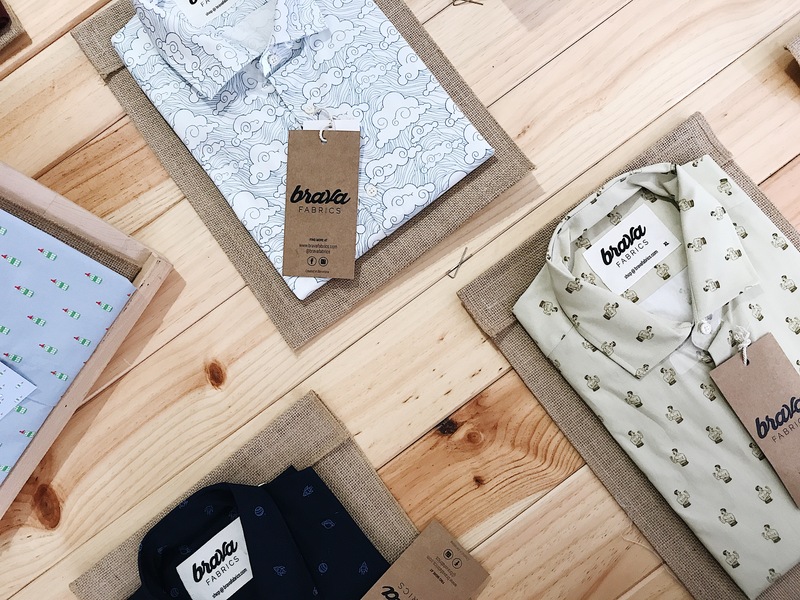 Brava Fabrics was founded by Ramon Barbéro and Ivan Monells back in 2015. As a passion brand – not a fashion brand – Brava Fabrics tries to make a statement towards the fast fashion industry for irresponsible manufacturing and waste. “Most of our garments and fabrics are produced by manufacturers located in Catalonia, or less often in the Iberian Peninsula. This is the southwest corner of Europe, divided between Portugal and Spain.”, Baréro says. The used fabrics all have the Oeko-Tex certificate, which is a quality mark for environmental guarantee”, Baréro follows. “We spend time and money making sure that all of our products do not come from exploited workers or unhealthy factories. Besides the local production process, Barcelona itself plays a big role in the message behind the brand as well. Through their garment, Brava Fabrics wants to represent the city and its many different character traits and inhabitants. “Barcelona is a city full of life, artists, entrepreneurs and Mediterraneans”, Baréro says. “Year on year, more foreign people are settling here and it has become an amazing mix of cultures and different people. We love that.” Whether you’re spending a day at the beach or at work, Brava Fabrics is for everyone. Brava Fabrics is one of those brands you need to keep an eye on. 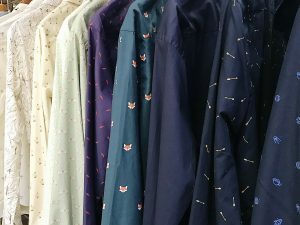 With their eye-catching colours and funny looking prints, even the grumpiest person will look cheerful. Not going to visit Barcelona any time soon? Thank god for the internet. Shop online at their website: www.bravafabrics.com.